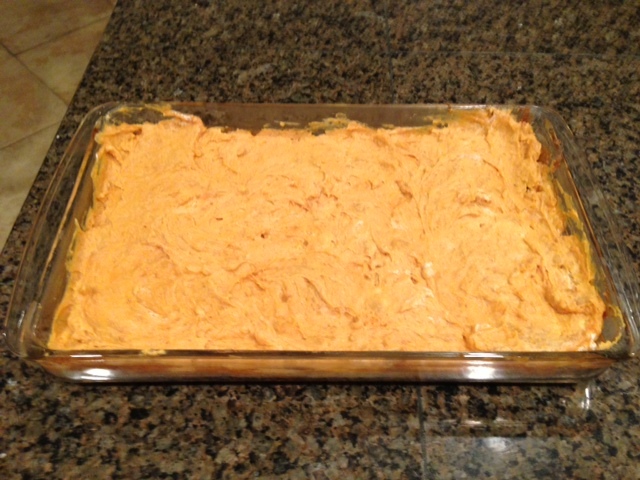 My favorite family passed down recipe is called Pumpkin Supreme. I have renamed it Pleasing Pumpkin Supreme. 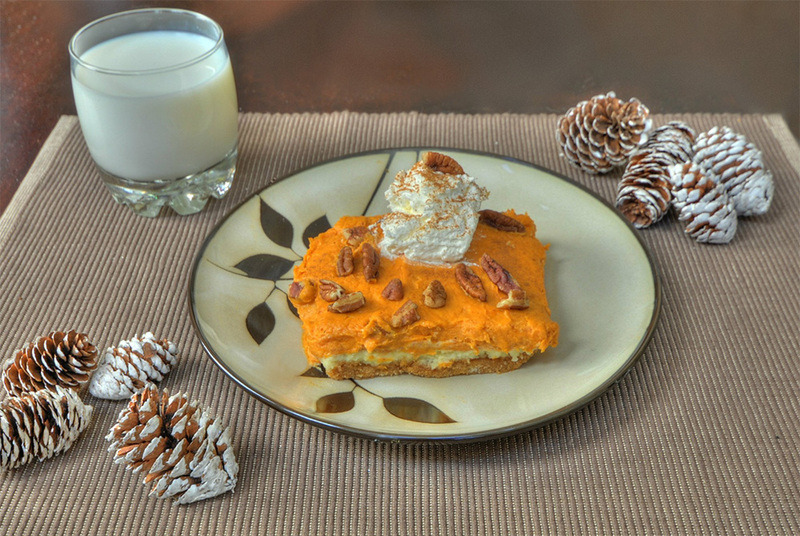 The first time I tried my sister-in-law’s festive pumpkin dessert many Christmas Eves ago, my taste buds lit up like a Christmas tree. 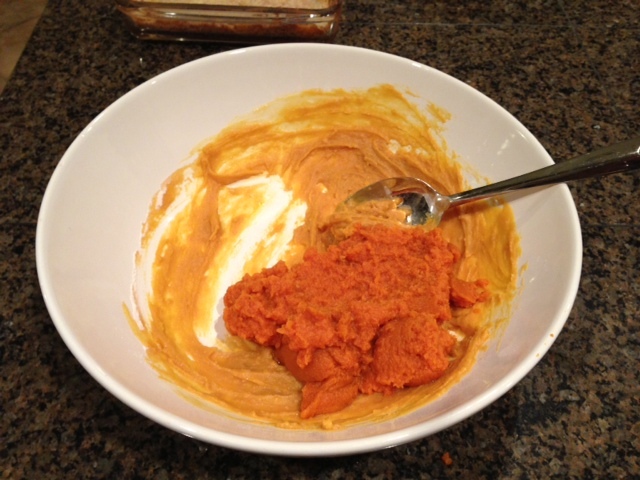 Different from pumpkin pie with a sweeter and more decadent twist, this stuff is deeelish! 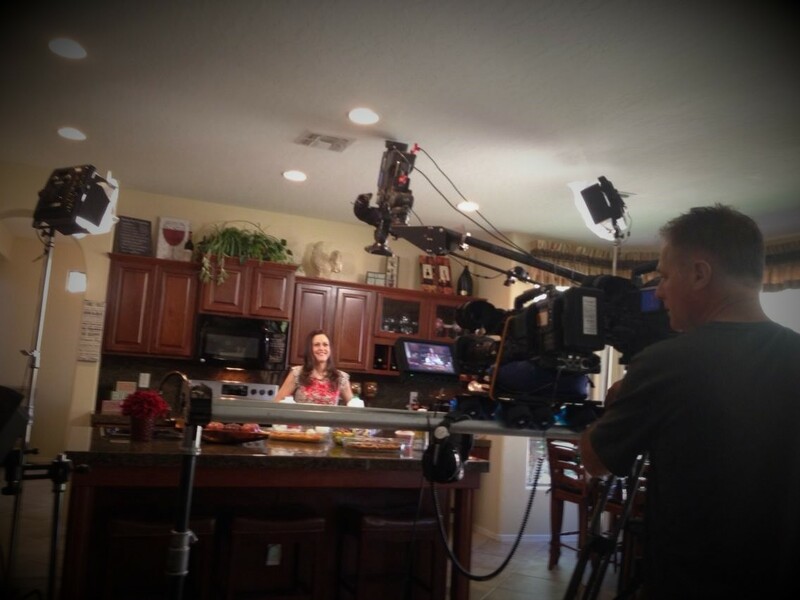 I have shown the recipe on the Your Life Arizona morning show and Shamrock Farms once hired me to make recipes in my own kitchen and this recipe was the star of the show! Stephanie, my sweet sis-in-law, shared with me that this recipe has been passed down in her family for years. 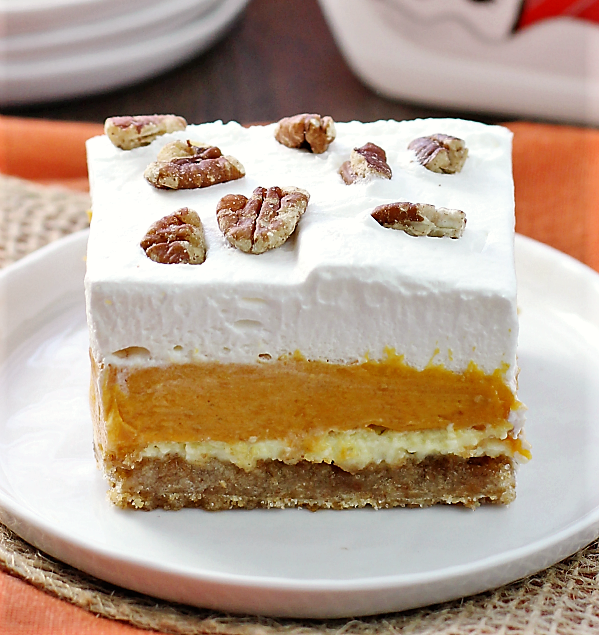 With tasty ingredients like pumpkin, whipped cream, cream cheese, vanilla pudding, cinnamon and more, this one is a crowd pleaser! So be sure to whip one up for your holiday gathering. Here is the recipe. Enjoy! 1. Mix graham cracker crumbs and 1 cup of the sugar in with the butter. 2. Press this mixture into a 9 x 12 Pyrex dish, so that this becomes the crust. 3. Combine eggs with the 3/4 cup of sugar and cream cheese. 6. Bake at 350 degrees for 20 minutes. 7. When completely cool (can even refrigerate overnight), go on to next step. 8. Mix 3/4 cup milk with two boxes of instant vanilla pudding. 10. Fold in one cup of cool whip. 11. Spread over cooled cream cheese mixture. 12. Cover with remaining Cool Whip and sprinkle nuts on top. Here is what a slice looks like and you won’t believe how good it tastes. Place a dollop of whipped cream on top, like pictured, or layer the entire top with whipped cream, sprinkled cinnamon and pecans. Up to you. Truly decadent! 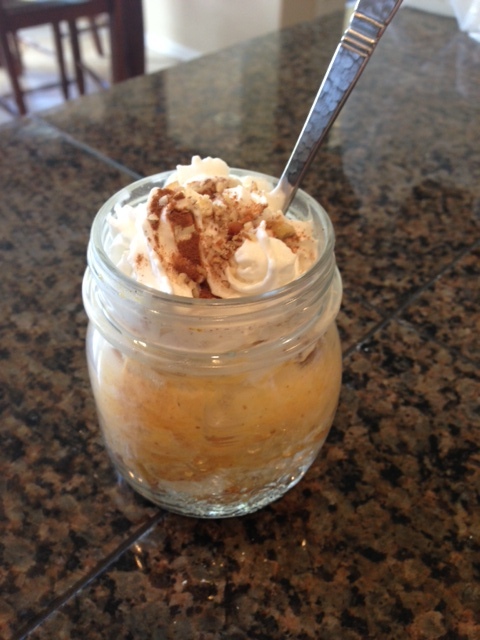 You can also serve this dessert in mason jars by following the same steps and layering in the jars instead of a pan. This recipe is super tasty. Try it! Enjoy! So yummy! Happy Holidays! !